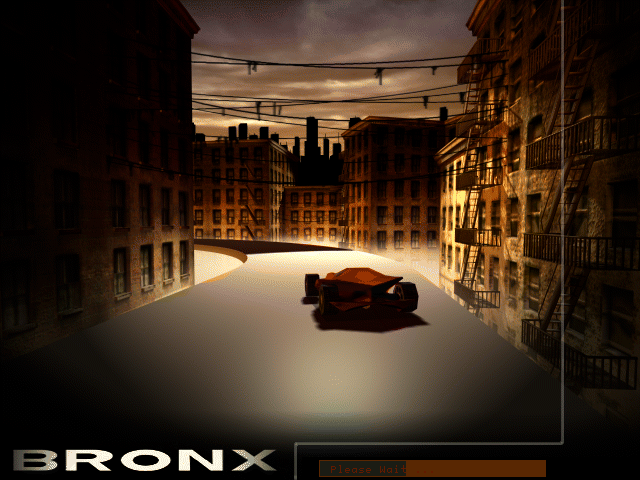 Thankfully, I finally got past the Bayou track which means I can now present to you the background music for the final track in Megarace 2: Bronx. This track was a piece of cake after Bayou and I managed to complete it the first go - just goes to show how difficult the Bayou track really was. At one point in development I'm guessing Cryo wanted to use the music for Moonbase 9 for the final track of the game as you can hear it during the intro video when Lance Boyle introduces it to the audience - however, despite the rap samples which would probably fit well with the Bronx, the rest of the track is probably too optimistic, too happy, too care-free for a level where it's do-or-die. Consequently we have the more tense and serious music that we hear in this track.